The officers isolate and contain the disabled subject who remains armed and menacing, but still confined to his motorized wheelchair. For some unknown reason, the officers reduce their officer safety "reactionary gap" and draw closer to the man. Lacking Taser electronic control devices (ECDs), the officers elect to use a stun bag projectile weapon as their force option. Their backup force option is deadly force, so several of the officers are also covering the subject with their firearms drawn. During the course of the confrontation with the man, officers fire one stun bag projectile at the subject as he moves forward toward them, which appears to be ineffective. At one point, one officer moves in to physically engage the subject. In response, the "disabled" man responds quickly with a knife slash, striking and injuring the officer. Next, the subject throws his knife in the direction of the officers and begins to turn his wheelchair around. The officers respond to the knife throw with deadly force, shooting and disabling the subject. The wounded officer and his assailant are both transported to a local hospital for treatment. Consistent with our technologically advanced society, much of the incident including the officer-involved shooting (OIS) was captured on video and immediately appeared on the Internet via YouTube for everyone's review and critique. It is the second OIS in one week involving SFPD officers. The following day, SFPD Chief of Police Gascon holds a press conference where he tells the assembled press that the incident could have been avoided if his officers would have been armed with Taser devices. My response to this episode and the chief's comments are, "Maybe and maybe not. It all depends." But what does it depend on? Police officers and the citizens we protect live and work within a society that is both driven and dependent upon advanced technology. It is certainly true that technology has been very helpful over the years to law enforcement. However, it is important to keep in mind that technological advancements in law enforcement force options, such as Taser ECDs, are not a panacea for good training in officer safety tactics, accurate threat perception and force management. As a former police officer and a 30-year use-of-force instructor and Certified Force Analyst specializing in the investigation of officer-involved shootings and major uses of force, I have used and researched the proper tactical use of ECDs and other force options. I am also a strong proponent of arming police officers with ECDs. I also sympathize with and support SFPD's chief as he attempts to lobby his city's Police Commission and its notoriously liberal Board of Supervisors to allow his officers to add Taser devices to their force options. I have reviewed a number of cases in San Francisco and in other cities where the tactical use of an ECD or other forms of non-deadly weaponry would have most likely resolved the confrontation without the officers having to resort to deadly force. However, I am also mindful that the addition of ECDs to any department's use of force arsenal is only one of a number of important components that should be employed to enhance officer and citizen safety while mitigating risk exposure. I would have us all consider one officer safety strategy that could well have avoided the most recent SFPD OIS and costs nothing. This strategy is the concept of "Pre-contact Threat Assessment." The intent of this article is to provide the reader with some fundamental rules associated with the officer safety concept of pre-contact threat assessment. Pre-contact Threat Assessment: Rules Pertaining to "The Art of Force"
Rule #1 - "You cannot seek to control others unless YOll are first in control (emotionally)." Angry, agitated or emotionally disturbed subjects are often affected by a naturally produced or external (illicit or psychotropic) chemical imbalance that causes them to present symptoms when threatened. However, officers who are untrained or lacking in confidence with their officer safety tactics and force management skills allow themselves to become "emotionally captured" by a subject's resistance. When this happens and they experience a "phobic scale response" (fear/threatened), they infuse themselves with survival chemicals such as adrenaline, epinephrine, endorphins and euphoric dopamine. These natural chemicals, which are also affecting the subjects they are dealing with, can cause officers to experience visual and temporal distortions. The acute dumping of simulants may cause officers to lose "situational awareness" and present with hypervigilance (panic and confusion). This could lead to the application of excessive force and potential lapses of memory. Officers engaged in any confrontation need to focus as much in maintaining their "center and balance" as they do in dealing with resistant or threatening subjects. Rule #2 - "Manipulate the environment; don't be manipulated by it." One slogan of U.S. Army Rangers is, "Improvise, adapt and overcome." Police officers are often challenged in the field by unique and rapidly evolving circumstances that they may lack the proper tactical equipment for. However, this does not mean that you lack "situational awareness" or that you cannot immediately adapt and modify your tactics to ultimately overcome and control a resistant or potentially violent subject. If you allow the environment to control you when you have a clear opportunity to control the environment, you are doomed to failure. Whenever possible, take the time to think clearly and "outside the box" about what resources you have available; or how you can exploit the same environment to succeed in safely and effectively taking a resistive or threatening subject into custody. Rule #3 - Remember the "Five Components of Arrest" - Can you accomplish them? In every arrest scenario, there are five components; (1) verbalization, (2) approaching the subject, (3) going "hands on" with the subject, (4) arrest and control tactics, and (5) handcuffing/searching prior to transport. It is in assessing the subject and your situation that you must determine whether you and your partner officer(s) can successfully accomplish all five of these components. This is the most important component of any pre-contact threat assessment. If after considering your circumstances, you believe that you cannot safely accomplish all five of the arrest components, do not make contact! That does not mean that you never make contact; it just means that you do not force the issue at that moment. Rather, whenever the situation allows follow rules #1 and #2. Keep calm, focus on maintaining situational awareness, manipulate the environment by adapting and thinking outside the box, and call for additional resources so that you can eventually and safely prevail. Rule #4 - If at all possible, avoid "time compression." Police officers have a habit of wanting to take immediate action during the course of an incident when it is neither safe nor prudent to do so. This again speaks to a lack of "situational awareness." Remember that there is a distinction between "potential" and "imminent" jeopardy. While all contacts with resistant subjects are potentially dangerous, significantly fewer encounters actually place officers in imminent danger. The trick is to follow Rule #1 and not to become so "emotionally captured" in an event with a resistant or threatening subject that you become unreasonably phobic and adrenalized to the point that you rush into a situation when you do not have to. Examples of unnecessary time compression include: (1) moving too close to the subject, (2) posturing by screaming and yelling complex or confusing orders, or (3) rapidly engaging an already agitated, angry, delusional or otherwise psychotic person who does not present an imminent danger from a distance. Unnecessary time compression nearly always exacerbates any difficult tactical situation by significantly reducing an officer's reactionary gap (distance vs. reaction time). This, in turn, causes the involved officer(s) to experience visual, auditory and temporal distortions. These distortions often lead to subject action - officer reaction problems such as "perception - shooting lag time" that rarely favor the involved officer(s). Rule #5 - Distance and cover are your friends. Whenever possible, utilize and maintain distance and cover from any resistant and potentially violent subject you intend to arrest. Distance allows you to observe more and prevents visual distortions such as perceptional narrowing or "tunnel vision." Distance also enhances hearing, situational awareness and lengthens reactionary gap. These benefits allow the involved officer(s) to maintain center and balance, as well as working to mitigate or lessen the potential for the officer(s) to become emotionally captured in the event. Maintaining distance from resistant and/or threatening subjects presenting as: (1) agitated and psychotic, or (2) those intent upon choreographing a "suicide by cop" scenario, significantly reduces the acute paranoia these subjects might experience through space and time compression. Maintaining distance from a resistant and threatening subject ultimately allows officers an enhanced opportunity to observe and assess what is happening more accurately and to respond to potential and imminent jeopardy in a safer and more effective manner. 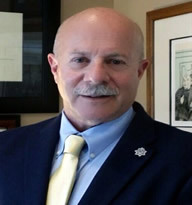 Ultimately, it will nearly always be a department's and an officer's commitment to and the employment of sound police practices and training in contemporary officer safety tactics and force management, rather than an overreliance on technological gadgets, that will allow officers to prevail over resistant subjects in challenging situations.